3, 2, 1, ... coundown for [TRÁNSITOS GRX] show to end. 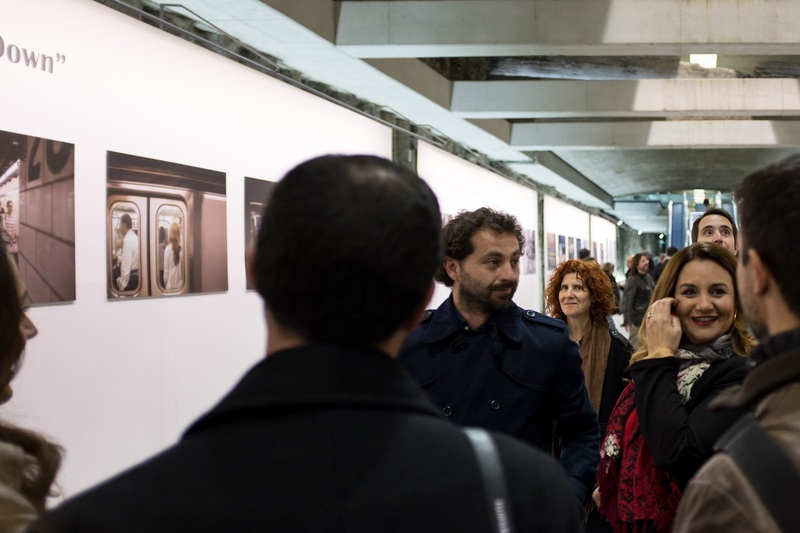 Last September I was invited by an Agency of the Andalusia Regional Government to take part in a collective exhibition held in Seville to commemorate the European Mobility Week 2014. 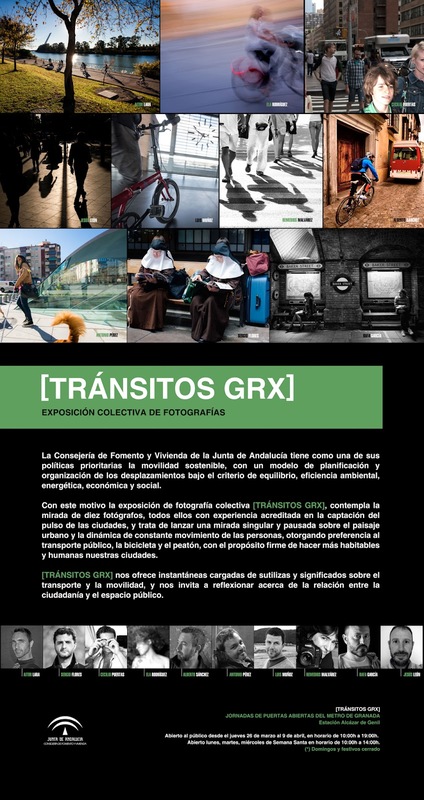 I've been invited again, now in the city of Granada, to a new edition of the show: [TRÁNSITOS GRX]. 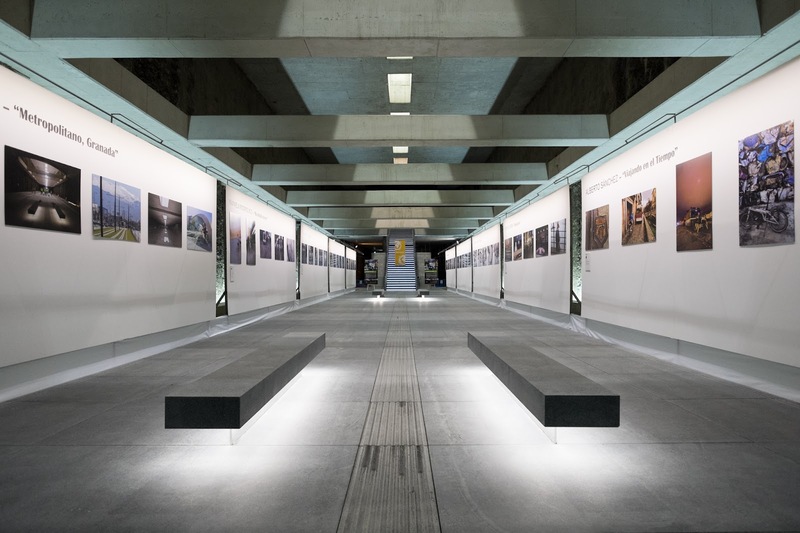 Some fellow photographers from the previous show and some new ones join forces in this show on sustainable urban mobility and its power to shape and transform the cities we live in. 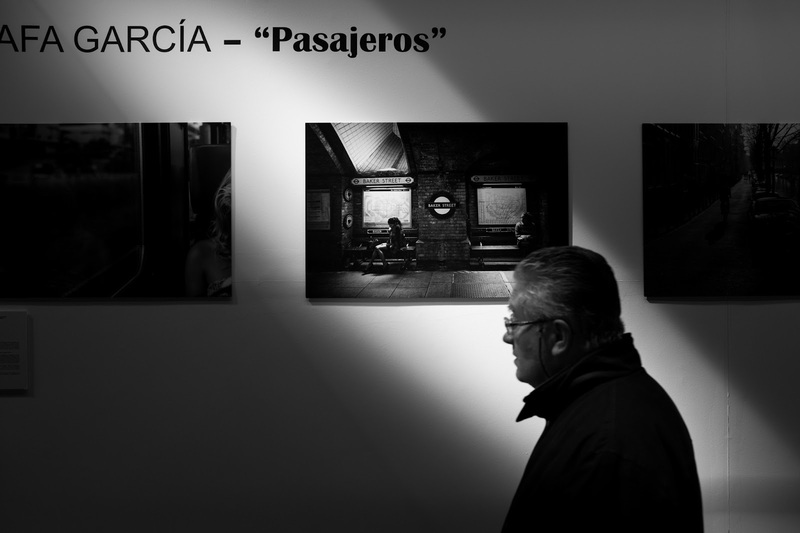 A group of 10 Spanish photographers take part on it with different series of 5 images. We couldn't ask for a better place to celebrate this. 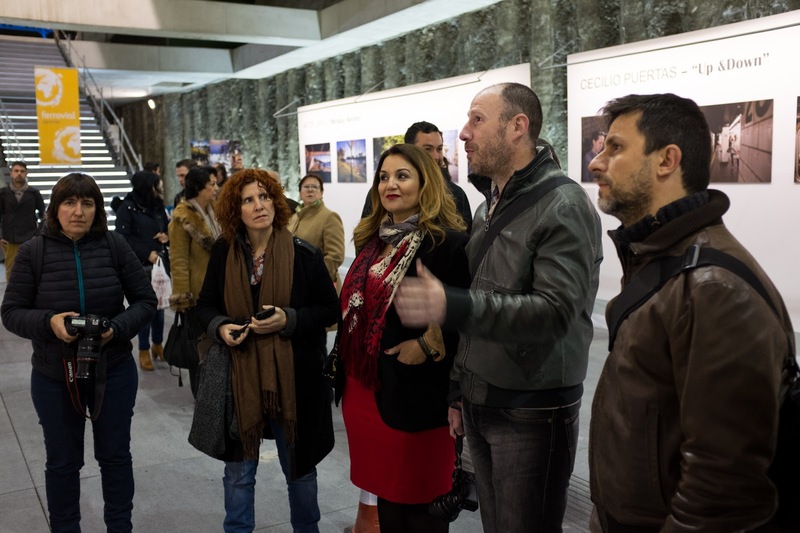 The subway station of Alcázar-Genil is a most amazing place where archeological remains from the ancient Arab presence on the site have been found, preserved and integrated in the space of the station. Worth seeing. 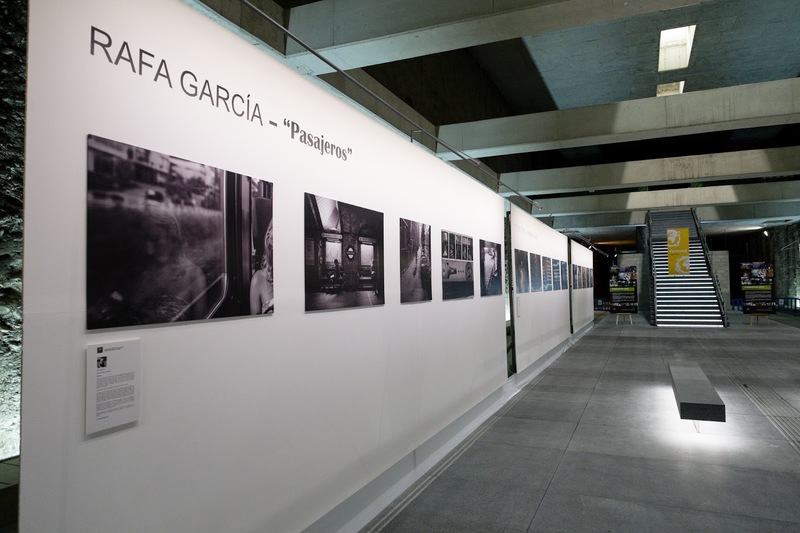 The 10 series are displayed on panels in platform of the future station. 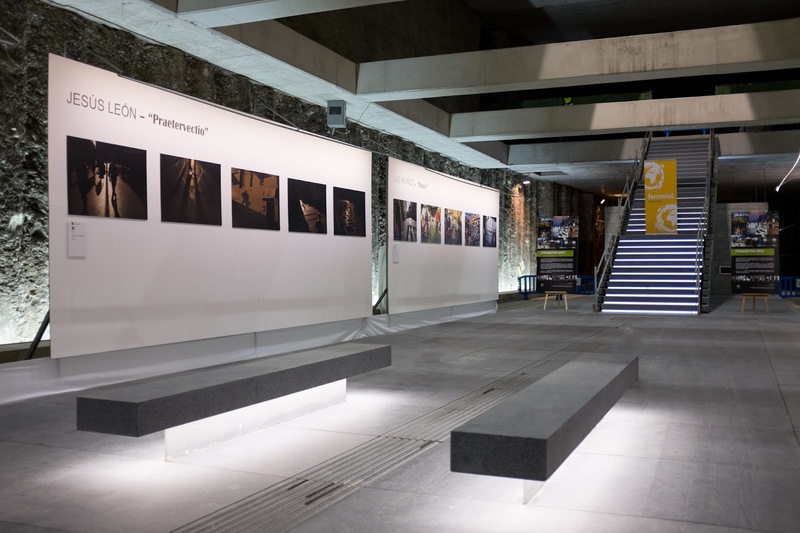 It was a most rewarding experience being there the opening night and having the chance to meet the rest of the fellow photographers who took part of this show. It was great time. 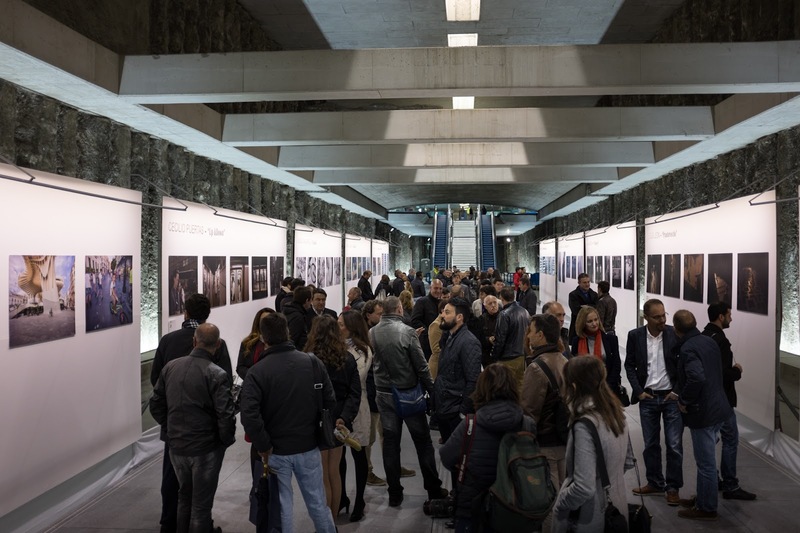 The show runs from 26th March 2015 till next 9th April 2015. If you happen to be around, go see it and tell me how it was like. I'd be happy to hear from you. Thanks kindly to Metropolitano de Granada and to the Andalusia Regional Government for organizing this. Specially grateful to Celia Salazar and Chari Foncubierta who have taken care of every tiny detail to make this happen. 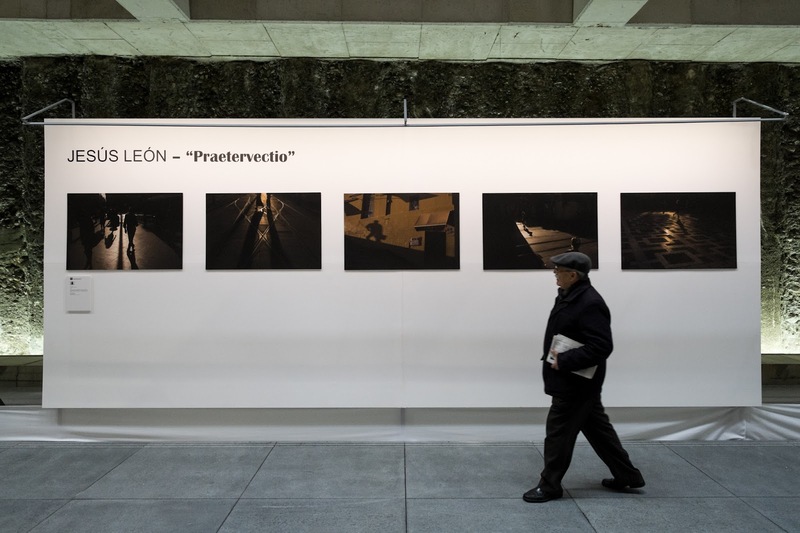 Jesús León talks about his series "Praetervectio"
Cecilio Puertas and his series "Up/Down"
My series is titled "Pasajeros" (Passengers). People and time pass by on train, bike, subway and tram. A glance to the experience of the trip, to that passing moments that helps us connect places and people. Images were shot in different spots in Europe from 2012 to 2014. The series is shot with Fujifilm X-Pro1. Date: March 26th to April 9th.